Who’s living in this multi-magical building block tower? It is the home of cat, mouse, beetle and frog! The animal head and body building blocks can be matched by colors or amusingly stacked every which way. 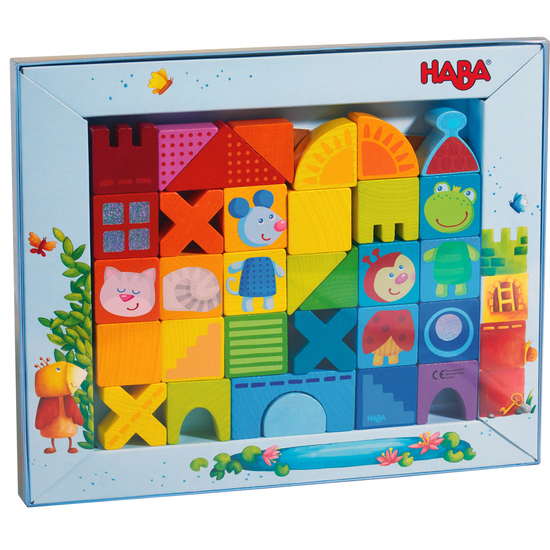 These cheery, rainbow-colored building blocks invite budding builders to creatively construct their first towers.